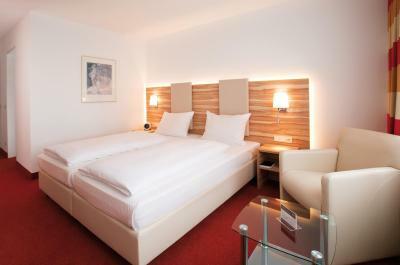 Lock in a great price for Hotel Engelhardt – rated 8.9 by recent guests! 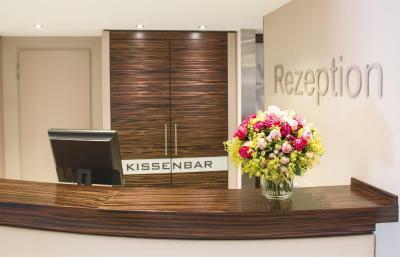 Front desk personnel were very friendly and helpful. Room was bright and airy. Everything was nice and clean. Staff was super friendly. Lutheran church next door on Sunday morning. Elevator. I have mobility issues. Ultra sound eye glass cleaner! Converter plug available at the desk! 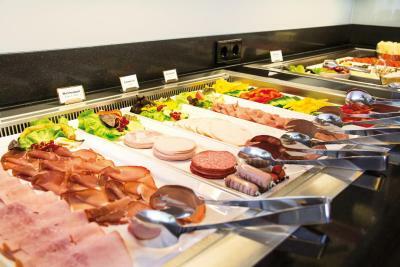 Friendly staff, fantastic and diverse breakfast, modern and comfortable room. We also could use the sauna for free. The room was very silent and perfect for sleep and relaxing, with electric blinds on the windows. The bathroom has a massage shower head, with plenty of hot water. It's easy to get to the hotel by car, parking is available right in front and the check-in and check-out are really fast. Friendly staff. Clean and modern rooms with AC. Quiet area. Free wifi and breakfast included in the room rate. Really impressed overall by the quality of the hotel. We ate dinner at one of the local restaurants that was recommended and it was also excellent. Silent area, very good breakfast. Easy to park. Nice staff. Quiet and clean hotel. A very nice (modern and new) shower in the double room. Perfect working free Wifi and good breakfast. Hotel Engelhardt This rating is a reflection of how the property compares to the industry standard when it comes to price, facilities and services available. It's based on a self-evaluation by the property. Use this rating to help choose your stay! 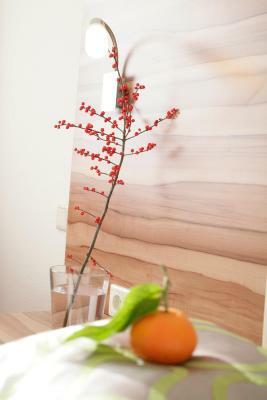 Hotel Engelhardt in Reutlingen welcomes its guests in bright, comfortable and modern hotel rooms. 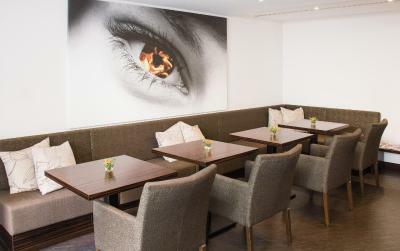 It offers a sauna, free Wi-Fi internet access and late breakfasts on Sundays until 12:00. 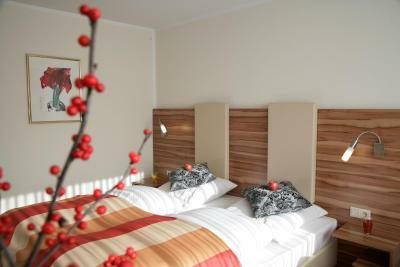 Guests of the Hotel Engelhardt have the option to choose from a range of pillows for their beds. 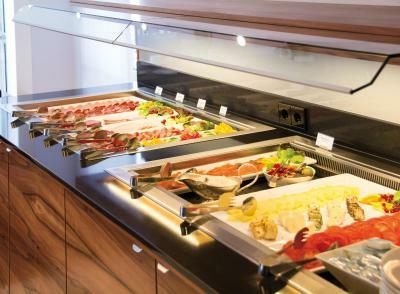 The staff at the Hotel Engelhardt prepare a breakfast buffet each morning in the spacious breakfast room. Use of the Hotel Engelhardt's sauna is free for all guests. Cyclists may use the Engelhardt's secure storage rooms. 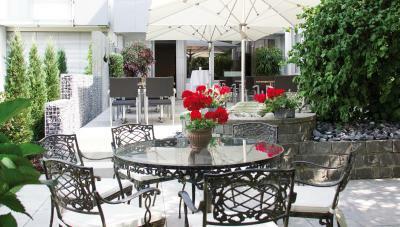 When would you like to stay at Hotel Engelhardt? Classic room with cable TV, free Wi-Fi and a private bathroom. 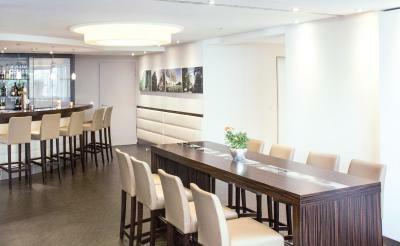 House Rules Hotel Engelhardt takes special requests – add in the next step! 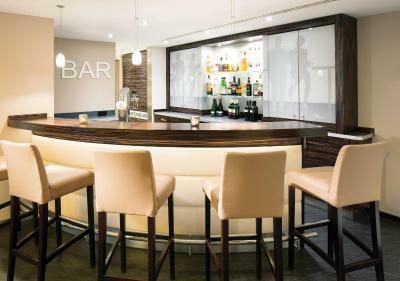 Debit card Hotel Engelhardt accepts these cards and reserves the right to temporarily hold an amount prior to arrival. Hotel Engelhardt accepts these cards and reserves the right to temporarily hold an amount prior to arrival. 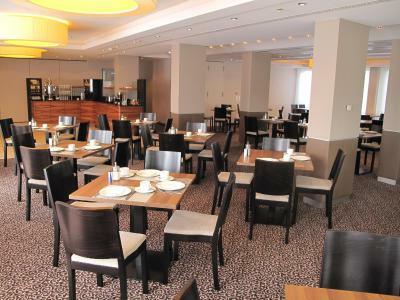 Early arrivals cost EUR 25 per room and are subject to availability. Please inform Hotel Engelhardt of your expected arrival time in advance. You can use the Special Requests box when booking. Please note that guests must notify the property if extra beds are required while booking. Extra costs like extra beds are not included in the booking total and are to be settled at the property separated. Only one extra bed is available for each room. 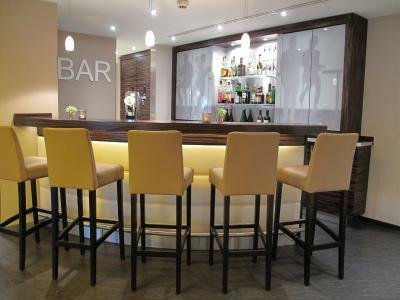 Nice for a short business stay, if you do not want to go out. Surrounding is very quiet and not much to do. the only negative thing which can be fixed is the balcony at the end of corridor. the door was not locked and the fence is high with a huge space at the bottom. this is tooooo dangerous for small kids and they easily can fall down. this can be fixed before hazardous happen. families with small kids should be careful ! There are not enough restaurants nearby. I have asked the Hotel (via booking.com) for checking a possible modification on my booking; from 3 nights to 2 nights only. I got simply no reply. A simple "No, sorry, not possible" would be better than no answer at all. Perfect for business in a quiet suburb. Shower Door - covers only 1/2 of shower, so when you take a shower, you get water everywhere outside of the shower.